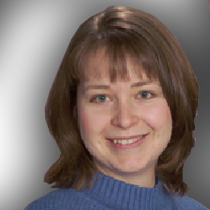 Angela Lueking is Professor of Energy and Mineral Engineering and Chemical Engineering at the Pennsylvania State University, and is currently a visiting scientist serving as Program Director for Process Separations at the National Science Foundation. The Process Separations programs seeks to develop sustainable technologies that more efficiently utilize material and energy resources in chemical separations, field-driven separations, environmental treatment technologies, and downstream biological processing. At Penn State, her research has focused on problems in sustainable energy solutions, spanning the fields of adsorption, surface science, catalysis, material development, and advanced materials characterization. She was selected as one of twenty-five American scientists in 2013 for an Incoming International Marie Curie Fellow for a year of study at the University of Crete. She teaches core engineering courses and a project-based green engineering course that partners with the office of physical plant to identify campus-wide sustainability projects for semester long student projects. She was also co-Principal Investigator on an NSF outreach program “Carbon EARTH” that supplements graduate education with outreach to K-12 students. She is co-author of the 2017 textbook “Science of the Earth, Climate and Energy”, which explains the scientific basis and fundamentals of contemporary environmental issues to a general audience.